To say that In Her Place represents a departure for director Kevin Hamedani ... well, departure is probably not a forceful enough word. For his latest effort, Hamedani - writer and director of Zombies Of Mass Destruction - teamed with Godzilla screenwriter Max Borenstein to create something about as far away from the cult and multiplex fare they were know for as possible. What they did was arguably far more difficult: The flew to Iran to shoot on location the story of an Iranian man returning to his country after twenty years away to take a bride. We first heard of this one back in September of 2014 when they were raising funds via a crowdfunding campaign under the title Prince Ali. It's been a crazy journey since - the filmmakers had to smuggle their footage out of Iran to Egypt when they caught wind that the government was planning to confiscate their material - but the results have turned out so well that they've not only secured a premiere at the upcoming LA Film Festival but are talking about an Oscar qualifying run and preparing a feature expansion with the producers of Dear White People. But before we get to feature talk, ScreenAnarchy is proud to premiere the trailer for the newly completed short film. It's beautiful looking stuff that you can find below. 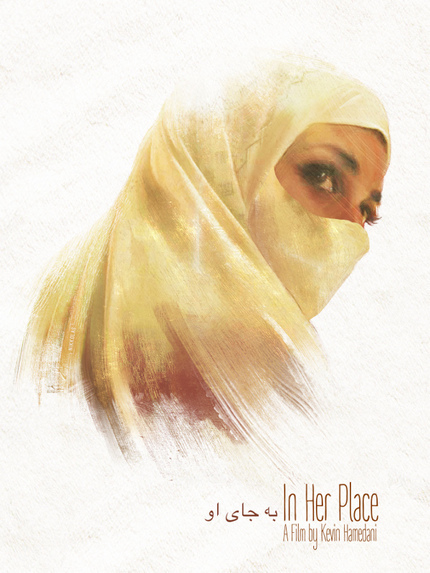 IN HER PLACE - Teaser from Kevin Hamedani on Vimeo.